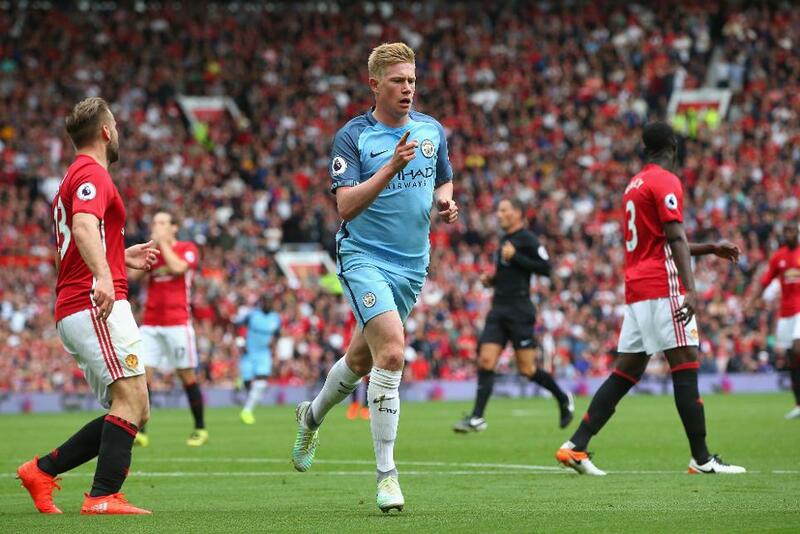 Kevin De Bruyne praised Manchester City’s performance as they "fought until the end" to hold off a Manchester United comeback and earn a 2-1 derby victory at Old Trafford. The midfielder put City in front on Saturday, before Kelechi Iheanacho tapped in to double the lead after De Bruyne’s shot had hit apost. Zlatan Ibrahimovic’s instinctive finish made it 2-1 just before half-time, but City held on and De Bruyne said it was a reward for an “excellent” display. City's Pep Guardiola is the fourth man to start his Premier League managerial career with four consecutive wins, and the 21st to claim three points on his first PL visit to Old Trafford. “The first half was really good," the head coach told mancity.com. "The last minute was a fantastic goal from Zlatan Ibrahimovic."